This blog is makeing me buy stuff... Not good! I've just been to MEC to try this as a daily-use replacement for my Lowepro Stealth Reporter D300. 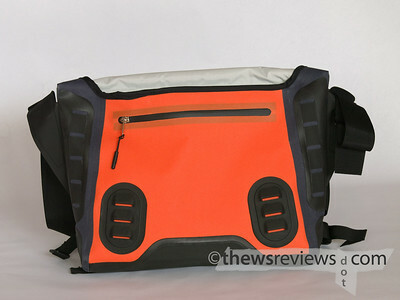 Sorry about your wallet - and whatever you do, don't read my Timbuk2 review. I actually like those bags (I own two) more than the Seal Line, although this is the bag with better weatherproofing. And those two bottle pockets on the inside are also pretty handy. I can see it being a really good match for your camera and two primes. Looked at the Timbuck2, and the Montreal-made Cocotte (they make a "Capa" photo insert!) But I can't stand velcro flaps! Skritttch! Tear! Shred! 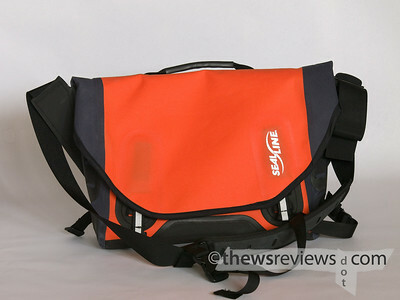 The SealLine bag is a bit tight to get into while you're wearing it, but if I'm just swapping primes, it ain't bad. Also I'm not knocking people over while riding the bus anymore. The Domke and Stealth Reporter are of a similar configuration. It's the perfect style to work out of at a shoot/event. I hear you about the velcro, and you make a very good point. I was once limited to a single lens because I was unexpectedly on the other side of a No Entry sign, and the velcro on my Crumpler would have gotten me busted. I don't really mind the T2's velcro for an every-day utility bag. They add in flexibility what they detract in noise. But for a camera bag, or a bag with a fixed set of contents (which is how I use my SL bag) the silent clasps on the Seal Line bag are a real advantage. I want to see pictures of the inside, there a laptop sleve at all? Anon, there's no laptop sleeve, but there is an unpadded organizer slot / divider at the back that's able to keep one from flopping around. After a lot of agonizing, I settled on using the Seal Line bag instead of my many camera bags or Timbuk2 messenger bags for a weekend photography trip when the forecast was calling for intermittent but persistent rain. It never let any water in, and I could set it down on the forest floor without any fear of soiling it. I can't see my beloved Domkes performing as well, my Glass Taxi wouldn't have been as easy to work from, and my T2 bags aren't as well sealed. Granted, this Seal Line bag is really too small to fit everything I'd like to carry, but it does come in a bigger size. If they made camera bags, I'd buy one - but still use my Domke bags when it doesn't rain. I have the large model and have not had the wear issues you had and I've used it daily for about 2 years. The large holds my macbook fine with room to spare. What stands out for me is the fact that it uses a welding process as opposed to stitching, eliminating any possible leakage. 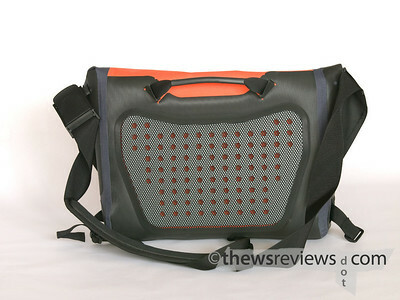 Also it is a fine balance of durability and lightweight which is great when on longer trips or cycling. Oh, almost forgot the excellent back padding that is the best I've used due to its ability to allow air travel through. What I dislike is the hook closure system. 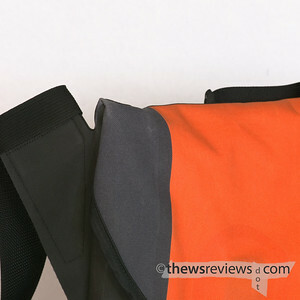 It is too finicky to close easily and limits the amount of stuff I put in the bag, also it is difficult to adjust the length of the main strap compared to true messenger bags making it difficult to go through the bag while wearing it. Since I don't have a car and use only my bike, needed a bigger bag that would last the rest of my life and bought the king of all messenger bags, a Pac Ultimate. Do a review on that! Thanks for adding your thoughts on the bag.